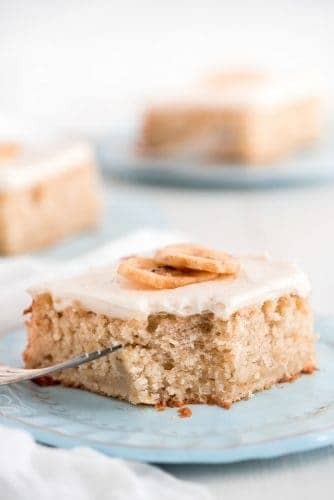 This Banana Cake with Cream Cheese Frosting is light and fluffy with just the right amount of silky smooth frosting on top. If you have ripe bananas, this is the way to eat them up! Hey Friends! Melanie here again from Garnish & Glaze. So I am pretty much the worst at judging how many bananas to buy. Either we run out too soon or we have way too many that all seem to ripen at the same time. 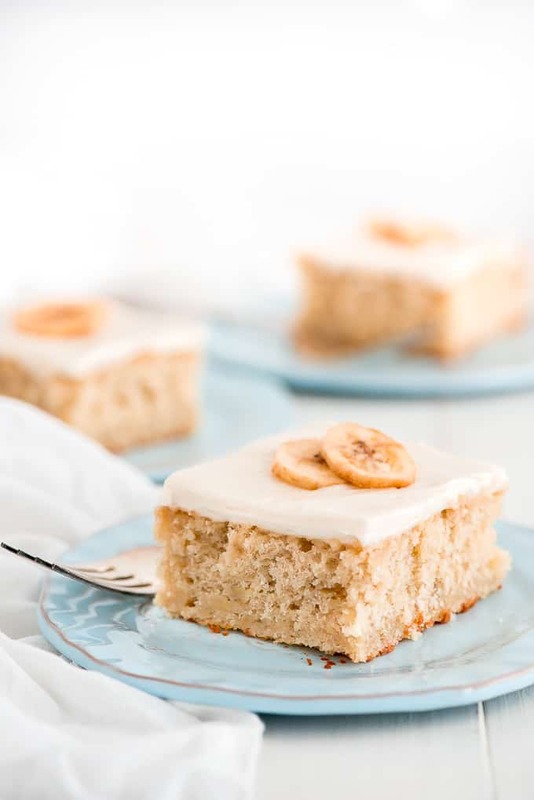 You can only eat so many bananas in a day and by the next day they’re too ripe for my taste so I guess all that’s left to do is make some yummy Banana Cake with Cream Cheese Frosting! Start out by creaming your butter and sugar together. You can do this with an electric hand mixer or in your Kitchen Aid stand mixer fitted with the paddle attachment. Meanwhile, grab 3 very ripe bananas and mash them up really well. I find it easiest to mash them with a fork in a pie dish. Kids really love doing this step if you happen to have little hands close by. What makes this cake so moist and tender is of course the bananas but also the plain Greek yogurt or sour cream. Both work great so just use whatever you have on hand. 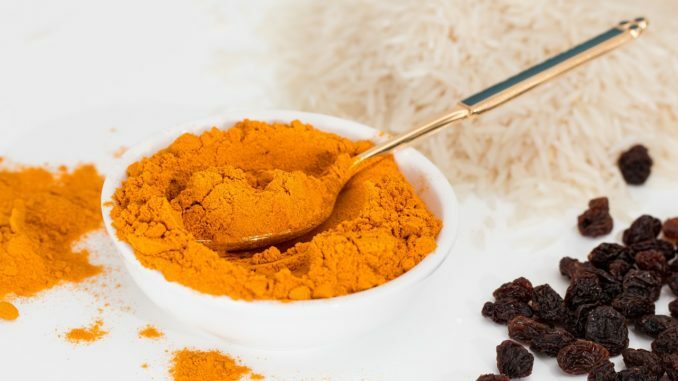 You’ll mix this into your creamed butter and sugar along with the eggs, mashed bananas, and vanilla extract. The last step is to throw in all the dry ingredients and mix the batter well so everything is evenly distributed. Pour the batter into a 9×13 inch greased pan and pop it in the oven for 35 minutes. The next part is the hardest… waiting. You’ll need to wait for the cake to cool completely before adding the frosting but you’ll be so glad you did. The cream cheese frosting on top is divine! I seriously want to spread it on top of everything but it pairs especially well with this banana cake and this is coming from a chocoholic. 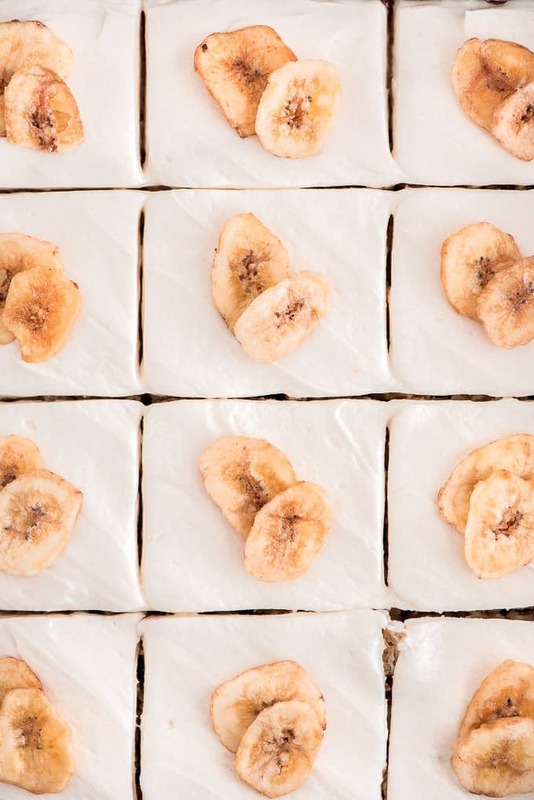 You can serve it just with the frosting on top or make it look a little fancier by adding some dried banana chips or even fresh banana slices. If you’re not serving the cake immediately I suggest using the banana chips since sliced bananas brown so fast. 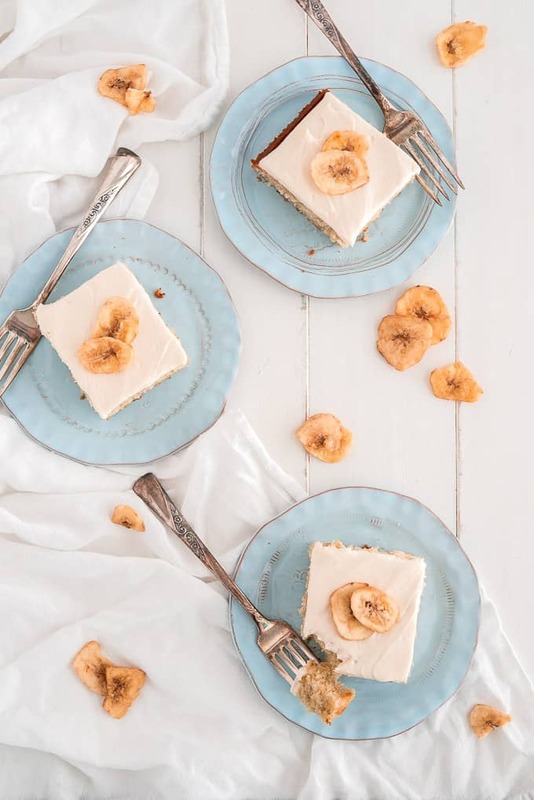 This Banana Cake with Cream Cheese Frosting is perfect for sharing with friends and family any time of the year. Enjoy! Preheat oven to 350 degrees F. Grease a 9×13 inch metal baking pan. Cream together butter and sugar with an electric mixer or stand mixer fitted with the paddle attachment. Beat in the yogurt (or sour cream) and eggs and until thoroughly combined. 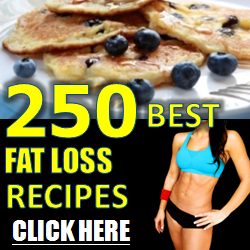 Mix in the bashed bananas and vanilla extract. Add the flour, baking soda, and salt and mix well. Pour into prepared baking pan and spread evenly. Bake for 33-35 minutes until toothpick comes out clean when inserted in the middle of the cake. Let cake cool completely before adding frosting. Beat butter and cream cheese together until smooth. Add the vanilla and powdered sugar and mix until thick and spreadable. Spread over the top of cooled cake.